Meccanica H7 designs and builds prototypes, special machines and complete plants for many industrial applications. Our organization, our technologies and our experience allows us to manage customer’s needs offering simple and competitive solutions, so ensuring the economic feedback expected from investments. We cooperate with customers coming from many different industrial sectors and for many of them, we have manufactured unique solutions, as demonstration of ability and flexibility. The experience gained with our clients has made us able to find and to analyse the criticality of the different products and productive process. During the project development, the buyer is involved in a group of designer inside which a coordinator takes care of the communication, checks the respect of the timing and of the results. Our engineers work together with our production technicians in order to anticipate the solutions that will be used. The meeting among the different professionalisms facilitates to elaborate an excellent solution, to save time and to reduce the unexpected costs. Inside our productive departments we can produce the most of the technology that we design. 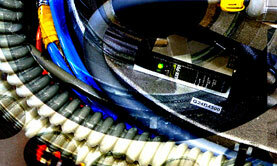 A wide net of qualified suppliers completes our requirements. 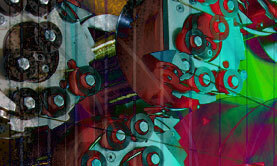 Continuous investments maintain the machine tools to state-of-the-art. We have got the right equipments to maintain a good efficiency of the product cost and to bring the production to a higher and higher qualitative level. Using MRP computer system, we constantly supervise purchases and working phases from and to the different department: machine shop, welding department, painting, out-searching, assembly and quality control. We are autonomous in the planning layout of our manufactured automations. This competence allows us to also sustain the mechanical designing with complex software programs. The need to be on the market with short lead times has brought us to develop a designing methodology that can facilitates the assembly operations. The machine overview is learned by the assemblers as soon as groups are developed so they create a working area needed for the assembly complexity. The machine test phases are defined and shared with the customer. We consider the installation of a machine as the crowning of the long process, started with the choice of technical specifications and ended with our customer’s satisfaction. Programmed Assistance post-sale or on call, is one of our specific competences. The feedback management with the customer is continuous and helps to accelerate the delivery times and to reduce the emergencies.